Everyone has fun at King Pirates Pub! Ahoy you scurvy dog! Permission to come aboard has been granted! 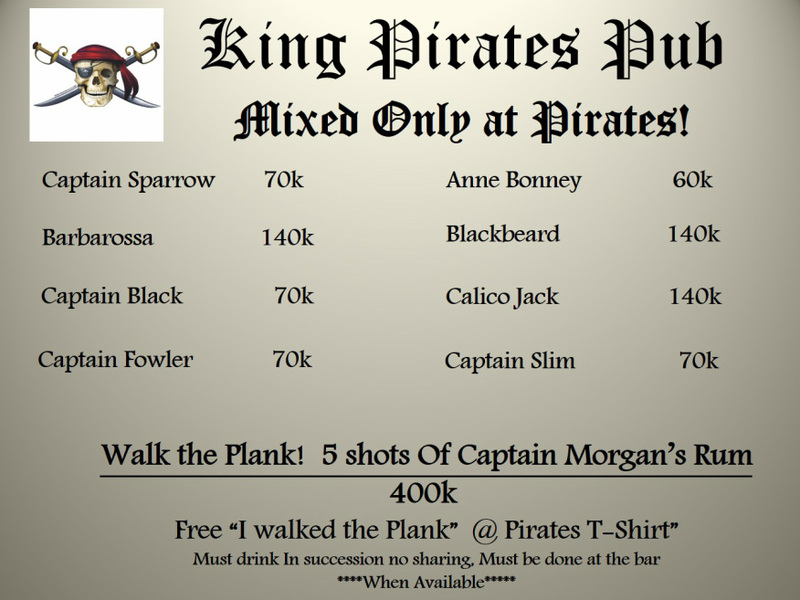 Prepare for a bounty of good drink at King Pirates Pub. Our pub features a relaxing laid back atmosphere in which one can enjoy company of an international flavor! The Bar offers an ocean full of beverages and the friendliest crew on the high seas. Under the watchful eye of the Captain, there are plenty of good times and laughter as she steers the ship toward fair winds and the carefree life of a pirate. If ye be lookin for adventure, then come aboard. MUTINY awaits! Cocktails Exclusively at King Pirates Pub! 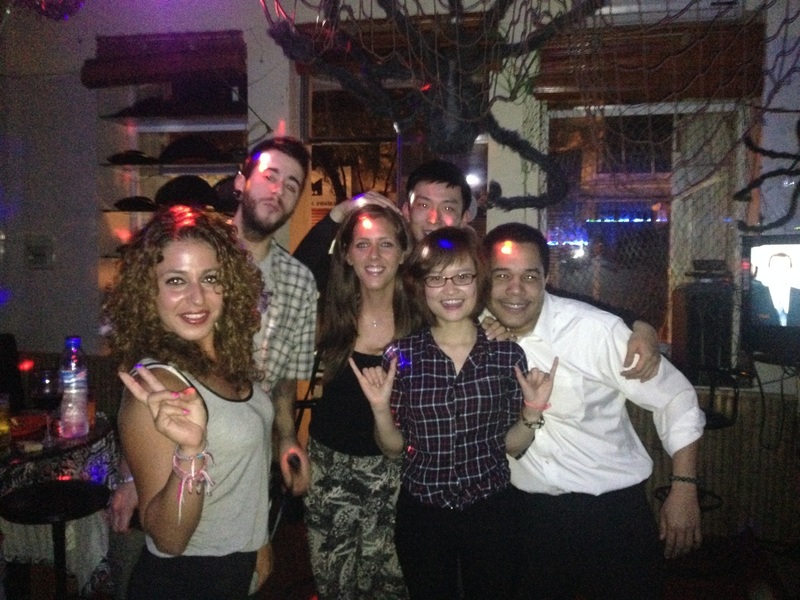 King Pirates pub is located in the heart of Hoan Kiem Lake. The best way to come here is to walk if you are in the old quarter. If you must taxi, tell or show him a text that says 24 Hang Giay. If you are already in the Ta Hien, Hang Buom area, Look around! you will find us! Every day 1100- Until We Close! ABOUT US.....A contemporary pirate themed atmosphere featuring a selection of rum based drinks which will be used to craft signature cocktails, punches, and infusions. We are a small bar but we have fun!